Identifying solutions to the growing problem of vulnerability in later life is the aim of a new initiative launched at the Future of Ageing Conference this week. The specialist financial services group Just, with the support of the International Longevity Centre (ILC-UK), is leading the programme which will bring together experts, innovators and groups who work to support vulnerable consumers to collaborate on future solutions. The launch responds to the increasing scrutiny by the Financial Conduct Authority of how financial services companies are addressing vulnerability. It has argued the market “is not serving many consumers in vulnerable circumstances consistently or well” and that “customers in vulnerable circumstances are being let down”. “Our ageing society is a driver for increasing levels of vulnerability – more people with dementia, with sight and hearing loss, and multiple long-term health conditions, for example. Stephen Lowe, Group Communications Director at Just, said that recent FCA reports suggest as many as half of UK consumers – more than 25 million people – currently show “one or more characteristics of potential vulnerability”, which indicates the scale of the challenge. What is Innovating for Ageing? 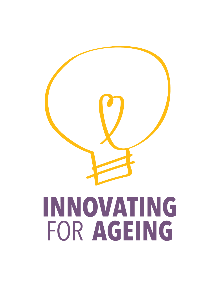 Innovating for Ageing aims to identifying solutions to the growing problem of vulnerability in later life. We will identify and support the development of products and services that address the challenges faced by ageing consumers at risk of vulnerability due to physical disability, illness, dementia or financial exclusion. Why are we focussing on vulnerable older consumers? There are growing numbers of older people who might be defined as vulnerable. In an ageing society, more and more of us are likely to become vulnerable consumers, even if just temporarily. The likelihood for example, of physical disability, serious illnesses, digital exclusion and dementia increase with age. And as our society is ageing we are witnessing a higher proportion of our population in old age and a growing number of people reaching their 80th year and beyond. And there is a need to better serve vulnerable consumers. The FCA has argued that the “financial services market is not serving many consumers in vulnerable circumstances consistently or well”. In fact, they go as far as saying that “customers in vulnerable circumstances are being let down by their financial service providers. Over the next six months Innovating for Ageing will seek out technological and policy solutions to the challenges faced by vulnerable consumers.